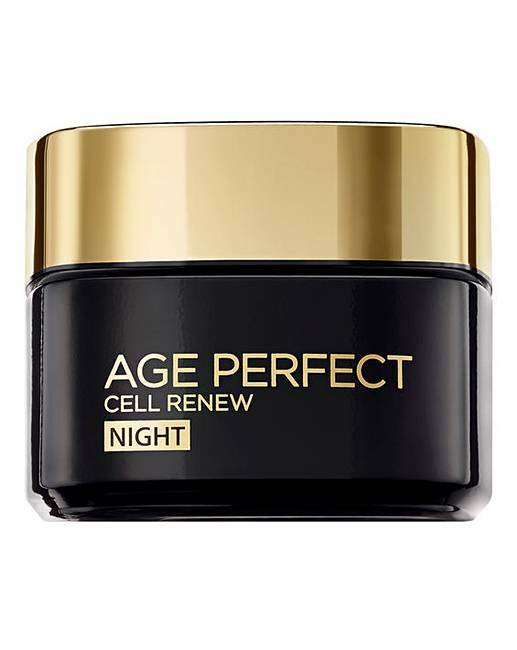 With age, skin cell renewal slows down and it can take longer for fresh, newer cells to form. 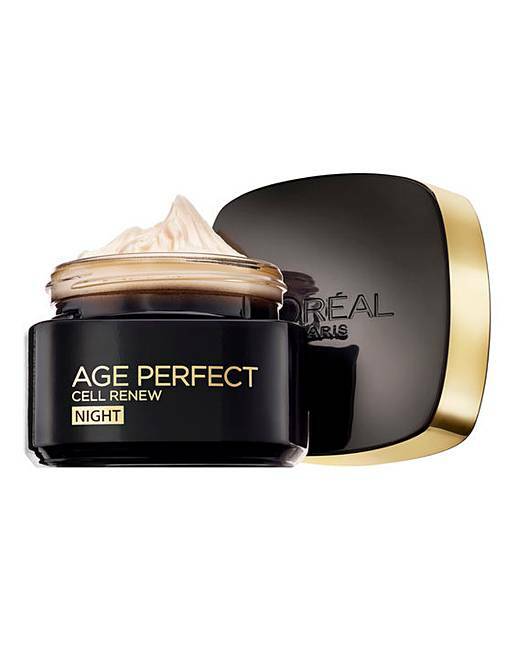 The skin begins to lose its vitality and its ability to regenerate overnight; the best time for your skin to recover as it is protected from external aggressors. The precious Black Truffle can remain fully intact for 200 days in the wild. The rare natural wonder is renowned for its regenerating properties. Fermented Black Tea is commonly known as the "Tea of Immortality" in traditional Chinese medicine. 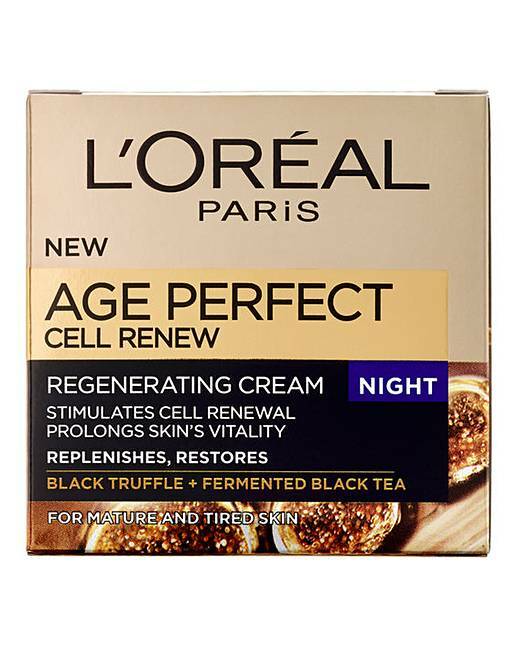 Its concentrated fermentation gives it exceptional revitalising properties. 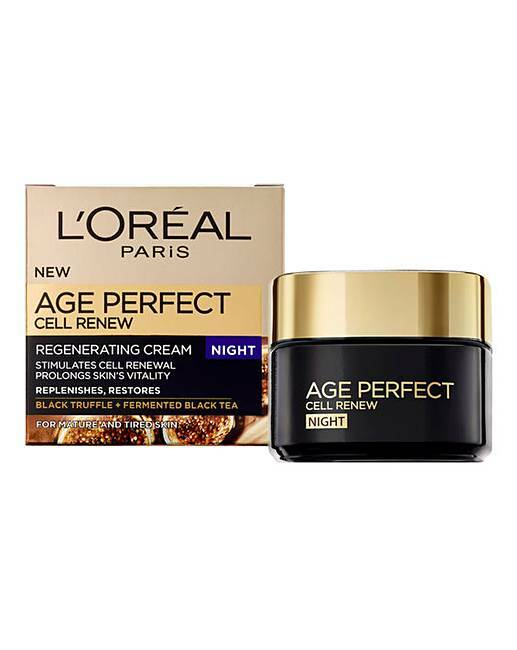 L'Oreal Paris laboratories have formulated and combined these two active ingredients, rich in Polyphenols and Vitamin B, into a regenerating night cream that creates the optimal conditions to stimulate skin's natural cell renewal, and prolong its vitality as you sleep. Use: Apply every evening to a thoroughly cleansed face and neck. Avoid the eye area.